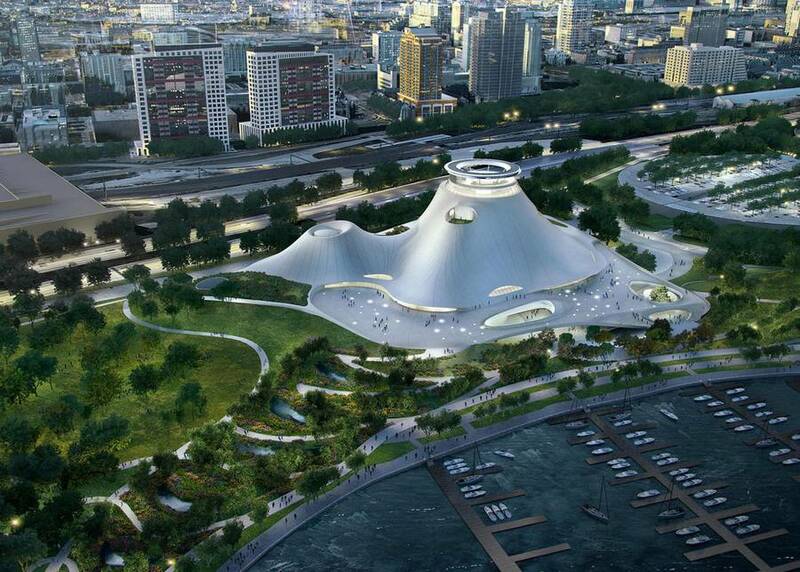 MAD just releases its new creations for The Lucas Museum of Narrative Art. Star Wars filmmaker had to give up his plans about his Chicago project, rejected by the local population. 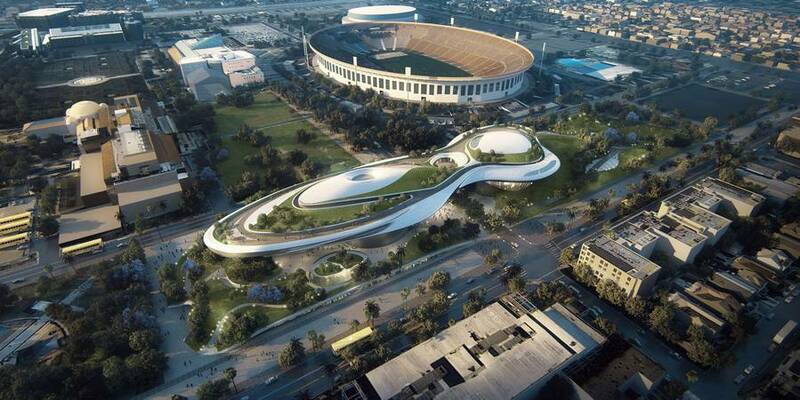 Two new edifices have been imagined by the Beijing based architects : one would be situated in San Francisco Bay and the other next to Los Angeles Exposition Park. Former museum which was to be on the Chicago Lake. Model of Los Angeles elevated structure. A catwalk would join the two spaces allowing the car trafic. 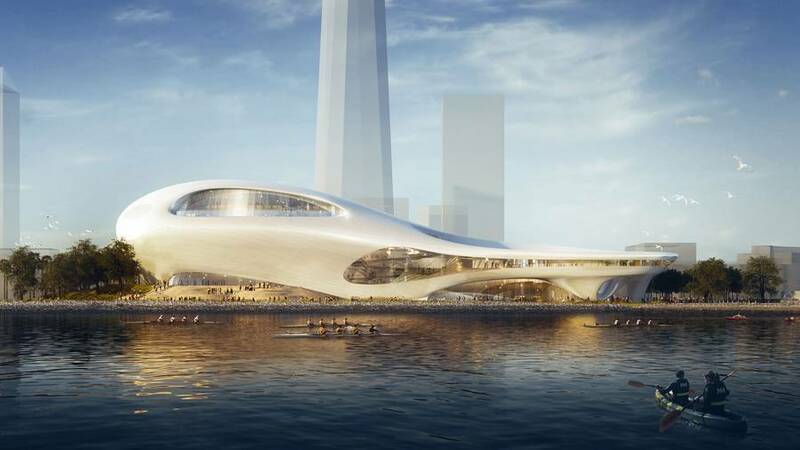 Architects proposal for San Francisco bay. 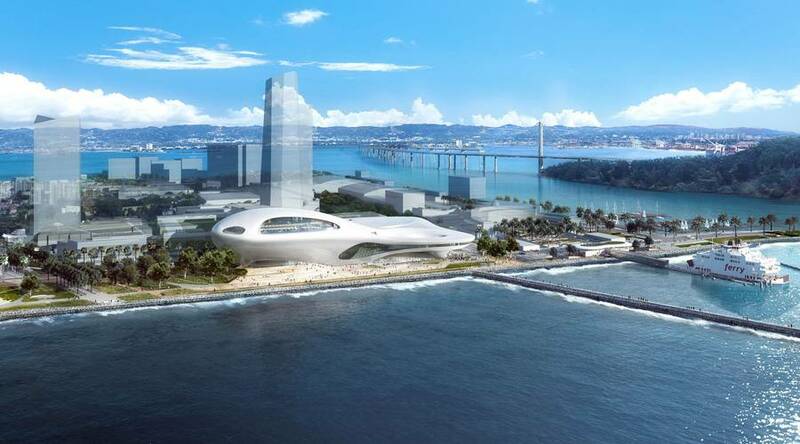 The exhibition space would emerge near the waterfront.